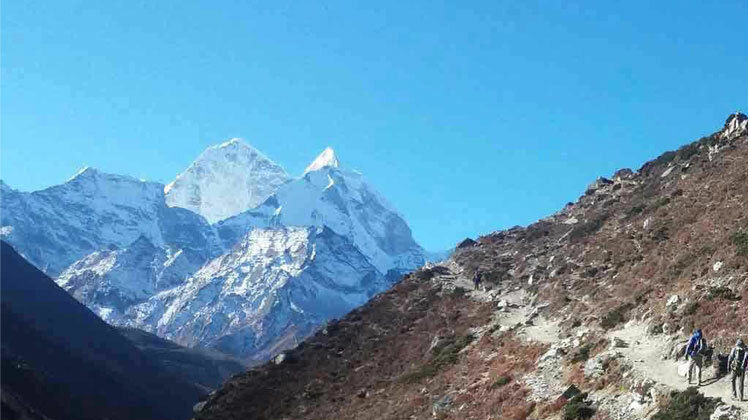 Everest Base Camp Classic Trek starting with 6 hour driving (187 KM) to Jiri. 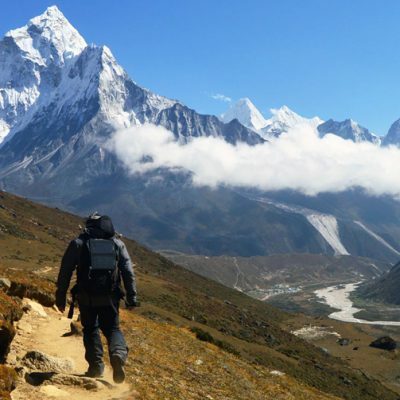 This trek follows the traditional route taken by early Everest expedition and still serve main artily to the Road less Everest region. 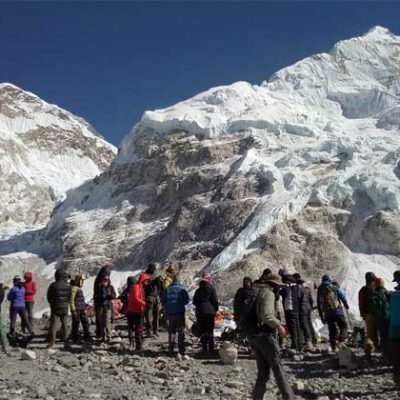 Everest Base Camp Trek is one of the most adventurous parts and adventure to trek through the hills towards mountains by our foot than having direct flight to Lukla. 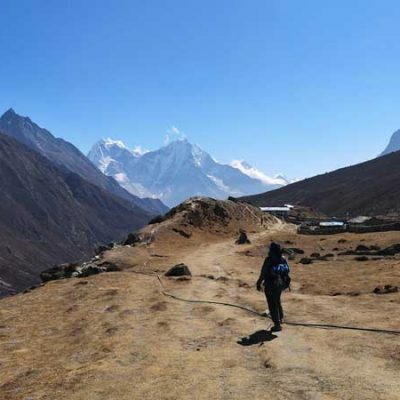 The EBC Classic Trekking trail used to be the most preferred trail by visitors, trekkers and adventure lovers before Lukla airport came into operation. 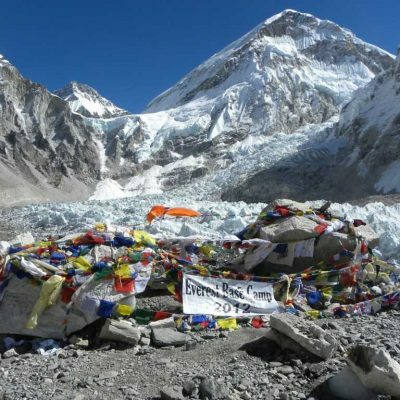 Classic Everest Base Camp Trekking offers an wonderful opportunity to climb kalapathar (5,545m), overlooking the base camp area, superb view of the highest mountains including Everest, Lhotse, Nuptse, Makalu etc, and to interact with the indigenous people. 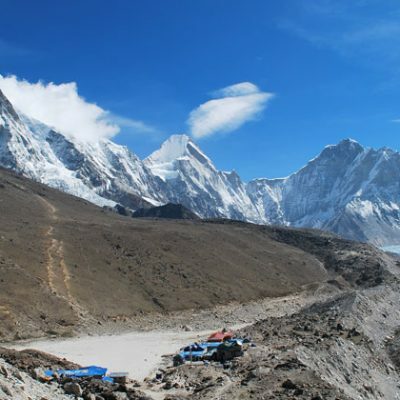 This is considered as the highly praised trekking route to Everest region. It was in 1952 when two renewed figures Sir Edmund Hillary and Mr. Tenzing Sherpa had taken the same route to Mt. Everest. After a seven hours scenic drive to Jiri, we follow spectacular route via Solukhumbu area through the heart of fine Sherpa villages, each village having something new to offer. It offers an ample chance to explore beautiful forest, farming country sides and several monasteries situated at high elevation on the way to Lukla. Once one has passed Lukla, we climb on to Namche, the main trading village of the Khumbu area continuing via Thyangboche monastery to Pherche and Lobuche. Trek to Namche Bazaar (3440m.). Namche Bazaar – Acclimatization day. Departure from Nepal as your per time. Arrival in Katmandu, transfer to hotel, brief about the trip, and well-come dinner at evening through the typical Nepalese kitchen. This day we climb to a ridge at 3080m, from where Everest slowly begin to appear infront of your eye, then on to Salung at 2650m. From Junbesi the trail leads to the hospital and airstrip at Phaplu and the district headquarters and bazaar at Salleri. Leaving Salung, we make our way descending to the Ringmo Khola at 2650m. The trail ups to Ringmo. There we see garden of apples and other fruit; the Apple House offers apple juice, pie and rakshi (rice spirit). The new trail from here to Namche Bazaar was built in the 1980s and avoids many of the steep descents and ascents of the old route.We make a short climb from Ringmo Khola that takes us to the 3071m Trakshindo pass, then the trail drops down pass the monastery of the same name, on to Nuntala at 2320m. Overnight at Guest House. B.L.D. The trail continues climb to Gorak Shep. Stop for Lunch. after lunch continue to Everest base camp. it takes about 4, 5 hour go and back. over night lodge in Gorakhsheph. 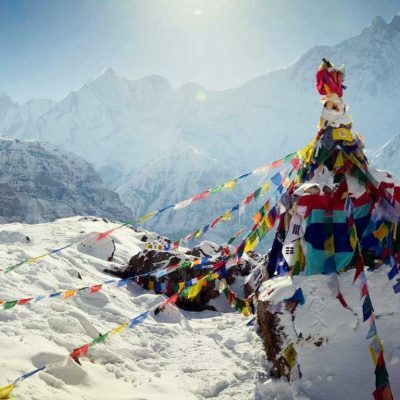 Early morning Our Guide take you up to Kalapather, the best view of Mt Everest. after amazing Everest sunrise view from kalapather, back to hotel have a hot breakfast then continue to trek back to Phiriche, Overnight Hotel. Two night’s standard Hotel in Kathmandu including breakfast. All trekking permit and Company necessary paper works. Kathmandu to Bhandar by bus. Flight Ticket (LUK-KTM) / domestic airport Tax. An experienced, helpful, friendly and Good English speaking Guide.